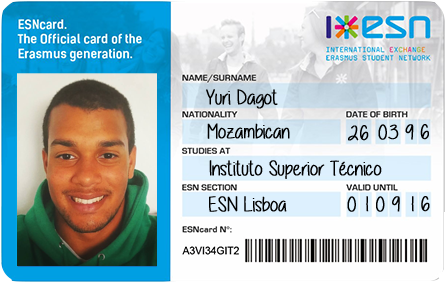 The ESNcard is the membership card not only from the Eramus Student Network Lisboa section but actually from Erasmus Student Netwoork International. You can use it all over Europe. There are partners of more than 500 sections across 37 countries. Register the card in ESNcard.org with just a few steps and get access to an international level of partnerships and discounts. Any foreigner studying or working in Lisbon. At our office in Travessa dos Inglesinhos n52 - Bairro Alto or HERE! You can also get it from your university Welcome Days (Check for our stand or the International Relations Office). I want to become you partner, what should I do? If you're looking for a partnership with feel free to send contact us. You can find more information below.